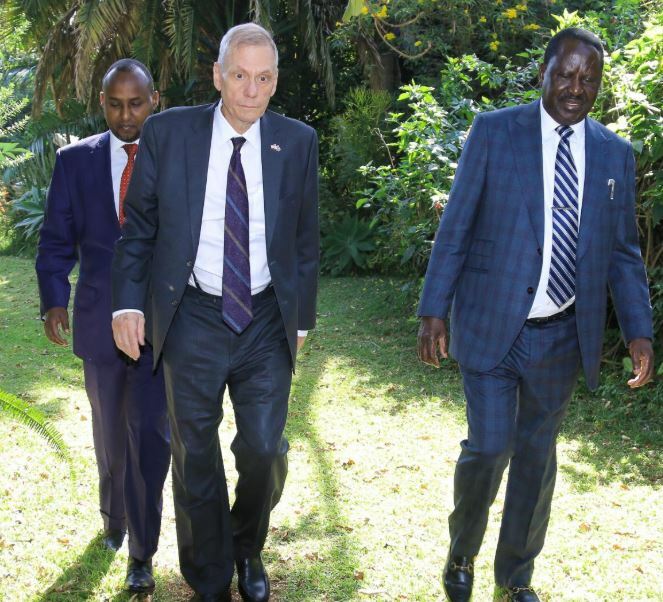 Outgoing U.S ambassador to Kenya Robert Godec on Thursday bid farewell to Raila and Ida Odinga and Chief Justice David Maraga. 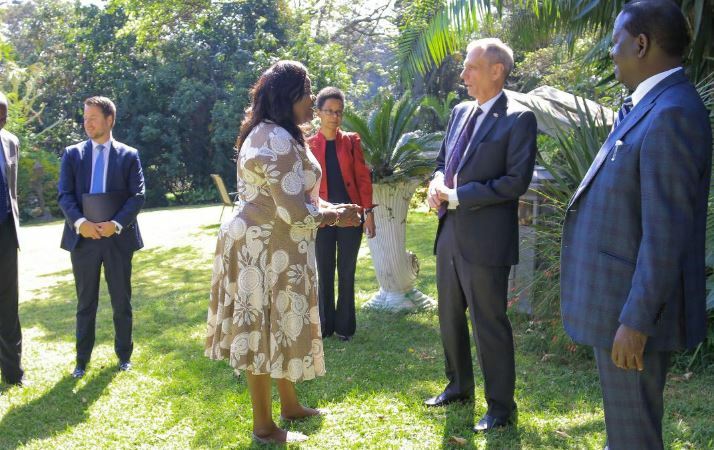 Godec started his visits at AU special envoy Raila Odinga’s Karen residence in the morning, where the Opposition leader and wife Ida hosted him to a farewell breakfast. 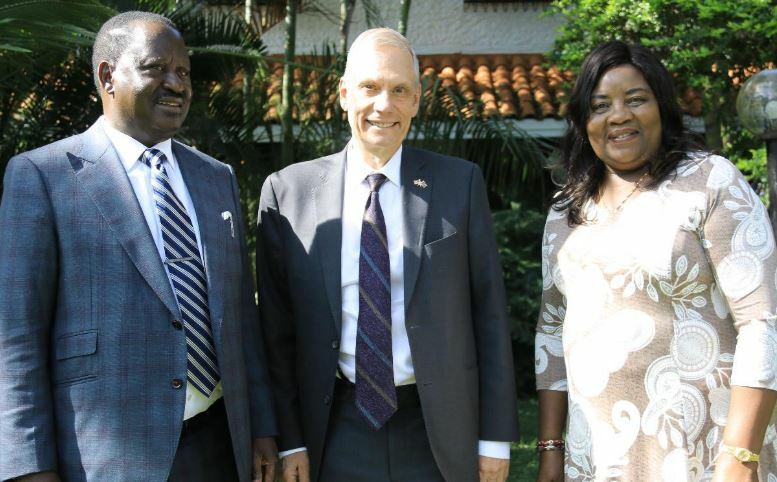 Raila said Godec promised continued support for the Building Bridges Initiative and war on corruption. Later on Thursday, the outgoing diplomat paid a courtesy call to Chief Justice David Maraga at his Judiciary office. 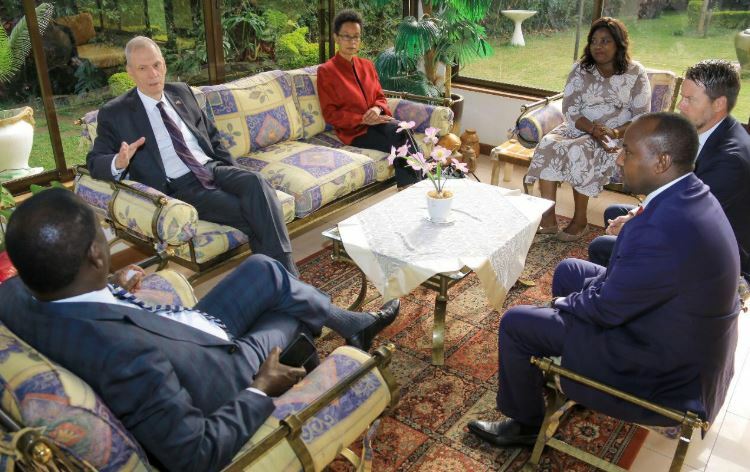 The Supreme Court President wished Godec well, noting that he had enjoyed working with him. 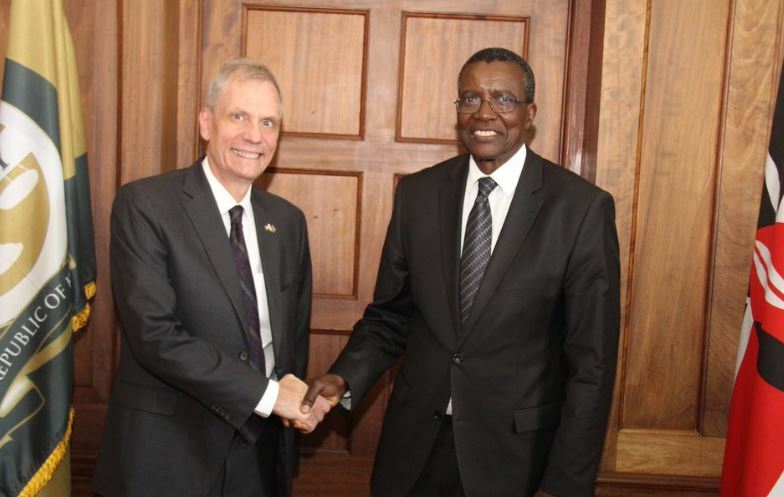 “I enjoyed working with him, and on my behalf, and that of the Judiciary, I wish him well in his future endeavours,” said Maraga. On Monday, Robert Godec visited Interior CS Fred Matiang’i, who acknowledged the envoy’s positive contribution towards expanding Kenya’s democratic space during his tenure. “I also thank him for the positive engagement we’ve had on various security matters and wish him well in his future endeavors.” Said Matiang’i. 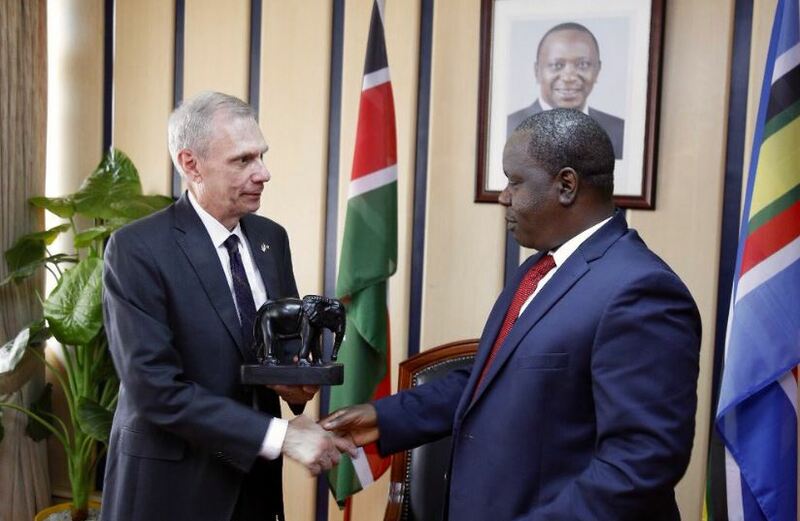 Godec’s tenure ends at the end of the month after six years as US envoy to Kenya. Former Senator Kyle McCarter, who was nominated by President Trump in March last year, has since been confirmed as the new US Ambassador to Kenya.